The travelling exhibition on Islamic life in Oman was held in the city of São Paulo, Brazil, after travelling to 46 cities around the world. The exhibition, ‘Tolerance, Understanding and Coexistence – Oman’s Message About Islam’ was held at Club Homs in São Paulo. The event was organised by Oman's Embassy in Brazil and supported by the Arab Brazilian Chamber of Commerce. “It is an international exhibition. It is very important to see the role of religion in life. If you look at the wars in the Arab world today, they are not related to religion,” said HE Khalid Salim al Jaradi, Oman's Ambassador to Brazil. The exhibition had a total of 44 panels and was divided into two parts. 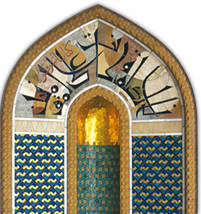 The first one showed religious tolerance in Oman while the second depicts aspects of modern life in the country. The 30-minute film dealt with issues of life in the country and the coexistence of Muslims with followers of other religions.